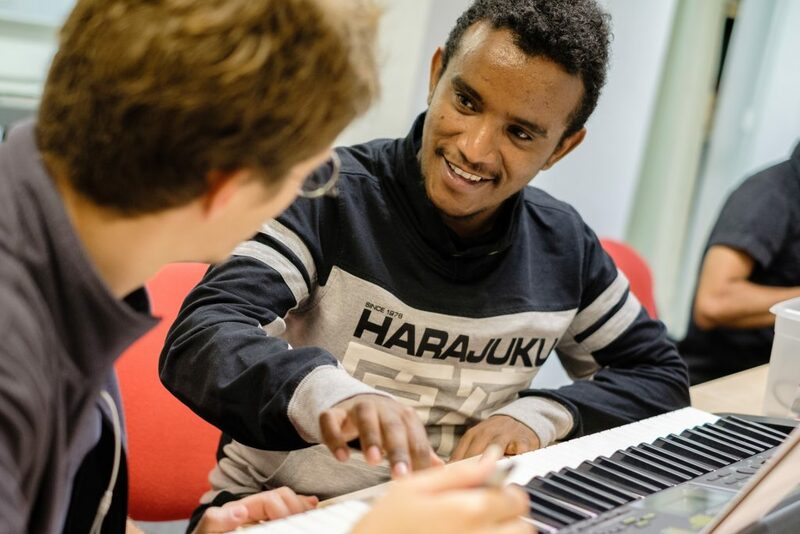 The Open Music School is a musical skill-sharing community with a focus on the integration of less-privileged newcomers into Berlin’s diverse and world famous music scene. 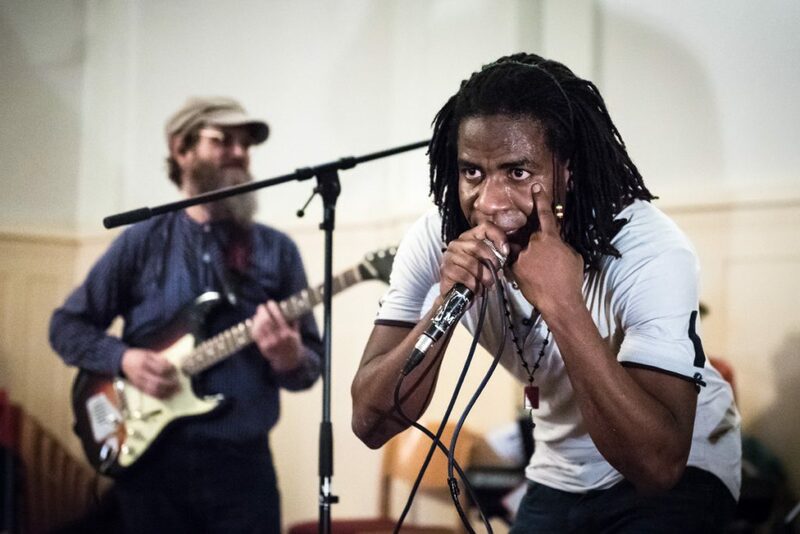 We believe in the power of music to create meaningful relationships that cross cultures, while encouraging healing, self-expression and community engagement. We don’t believe that learning a musical instrument is only for those who can afford private tuition, or that performance opportunities should only exist for those who know the “right people”. 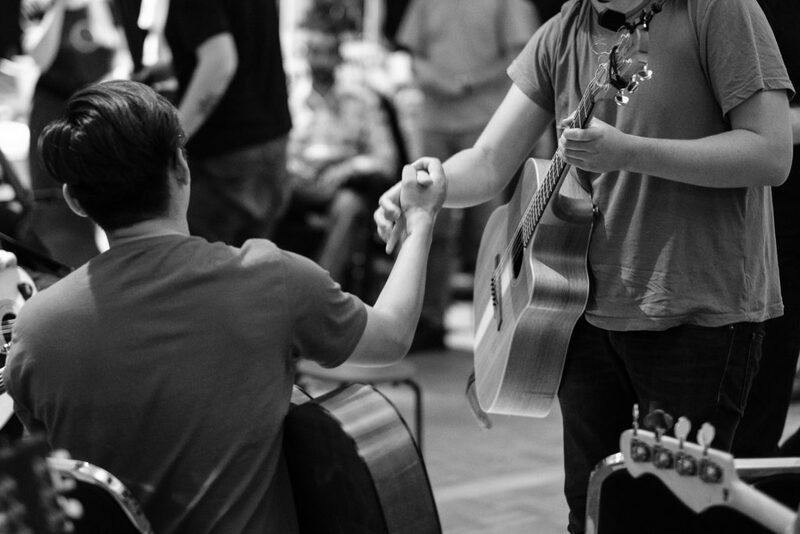 We see value in every individual as part of our community, and if music is something they wish to pursue, we want to encourage that… And making music together is simply fun! We offer a variety of completely FREE, weekly group classes run by talented volunteers who are musicians themselves. These groups focus on providing supportive and creative environments for people of any gender, nationality, ethnicity or migrational status to learn together. More advanced students are often encouraged to act as teachers’ aids and/or translators, thus creating a communal skill-sharing group free from hierarchy, where everyone has something to offer. 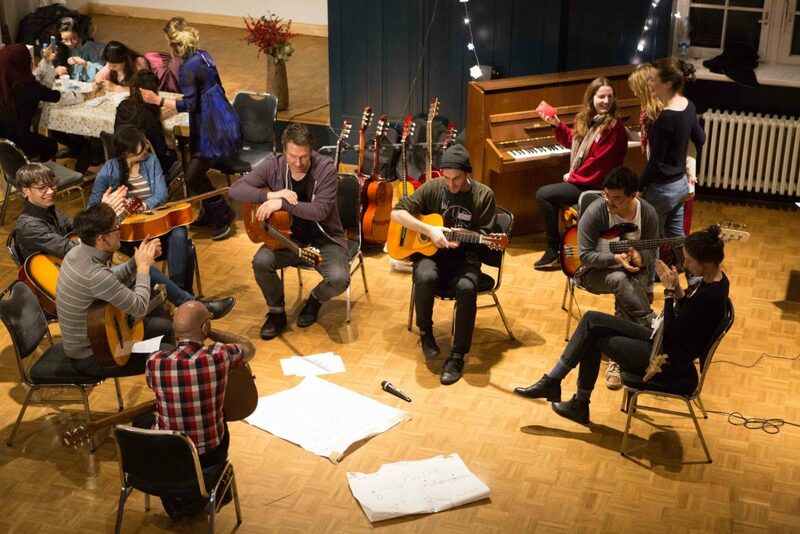 A mixed (men and women), four-week guitar course for absolute beginners. Students learn the different parts of the instrument, how to hold it, notes, chords, rhythm and the basics of songwriting. After this, the beginners are welcome and encouraged to join to our Guitar Group. A mixed guitar group that happens every week. This is a fun, social group that learns together by playing popular songs, as well as writing their own. 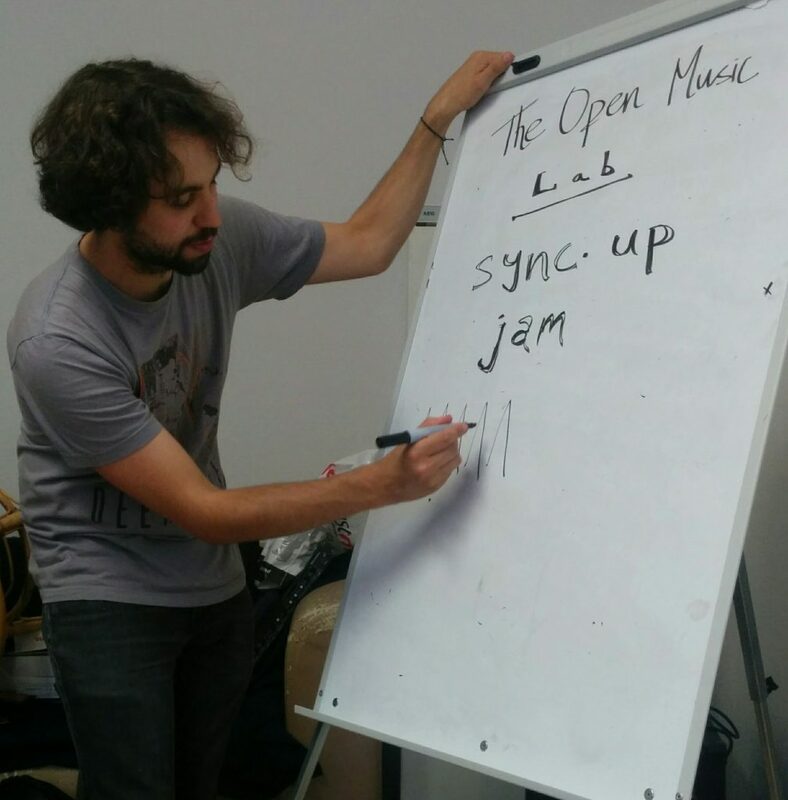 Weekly workshops that cover a diverse range of topics to do with music production. 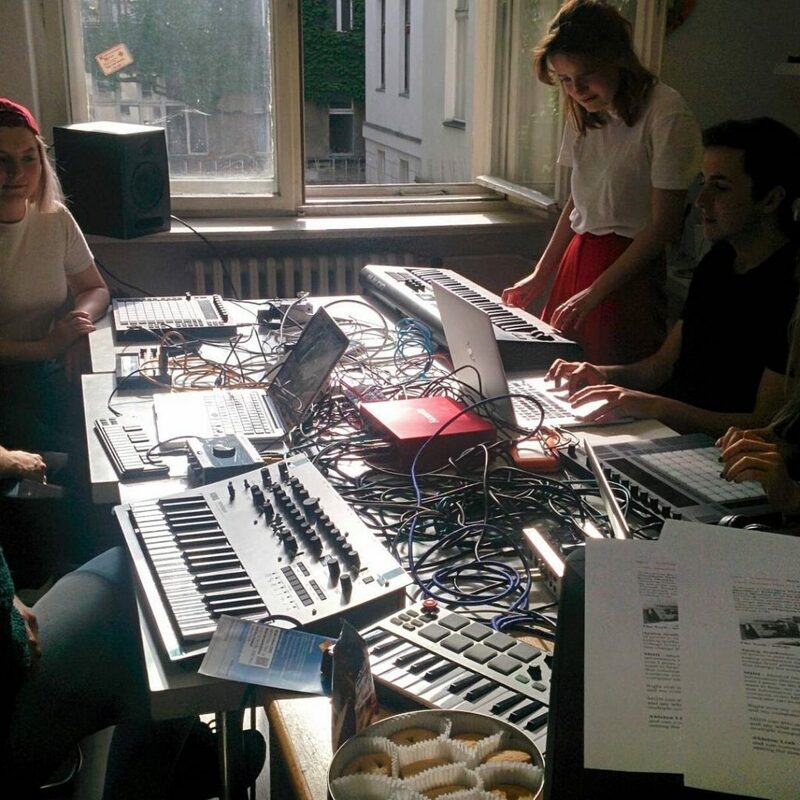 While focussed on the electronic side of the genre spectrum, workshops on analogue/non-digital aspects are also covered. A four-week course in the basics of guitar taught by women, for women. 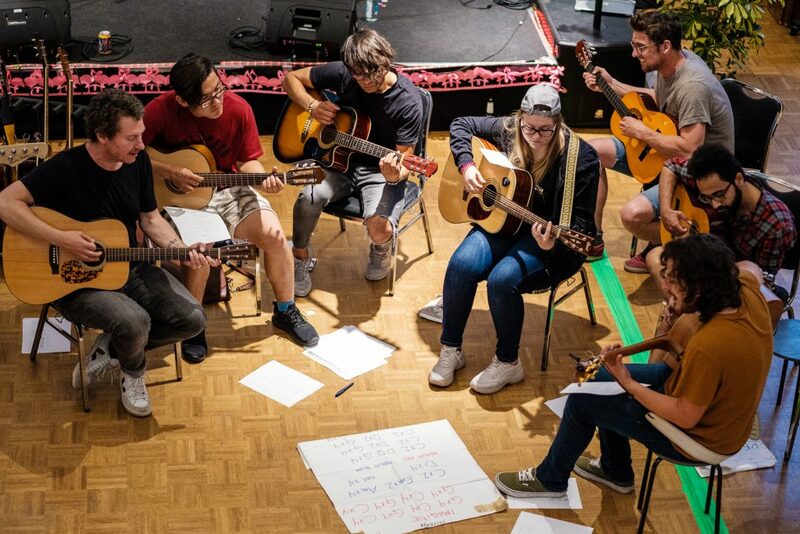 Students learn the different parts of the instrument, how to hold it, notes, chords, rhythm and the basics of songwriting. After this, the beginners are welcome and encouraged to join either our Women’s or “mixed” Guitar Groups. 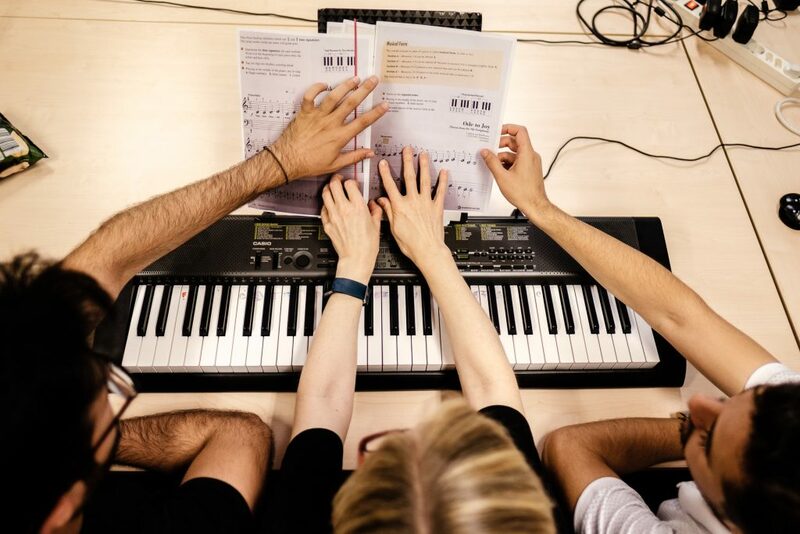 An open, social and fun piano-keyboard learning group. Multiple teachers help individuals of different skill levels learn at their own pace. 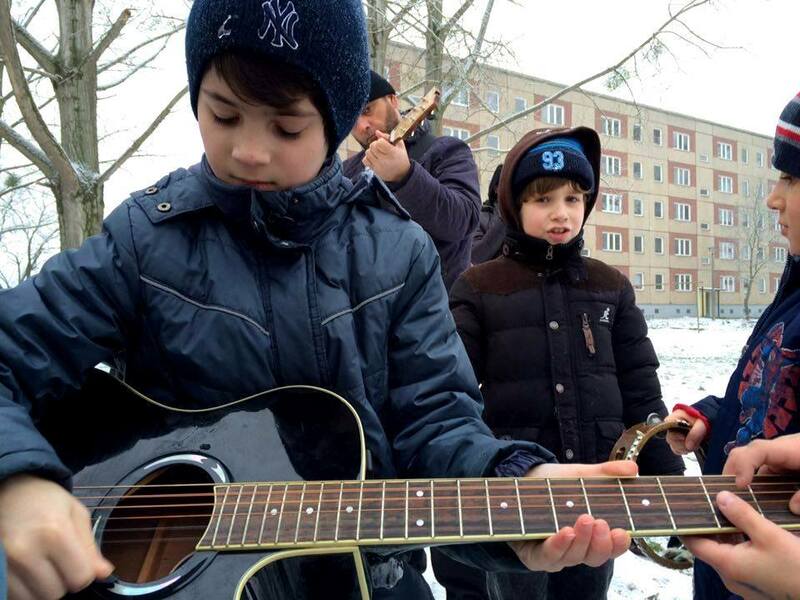 Sometimes the group also learns skills and songs together. Students can come at either 18:30 or 20:00. 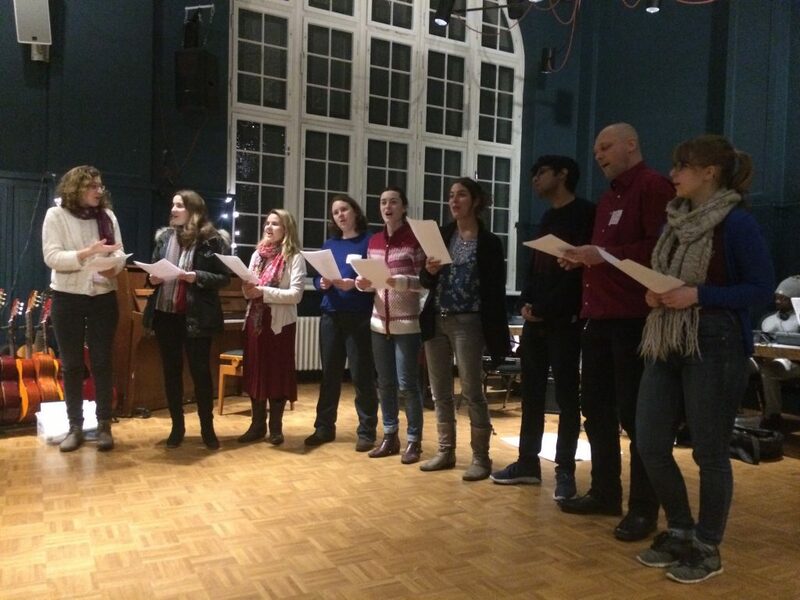 SOCIAL SINGING: Tuesdays, 19:00 – 20:30 // SoliNar (Hertzbergstrasse 1, 12055). A very relaxed, informal group of people who love to sing! 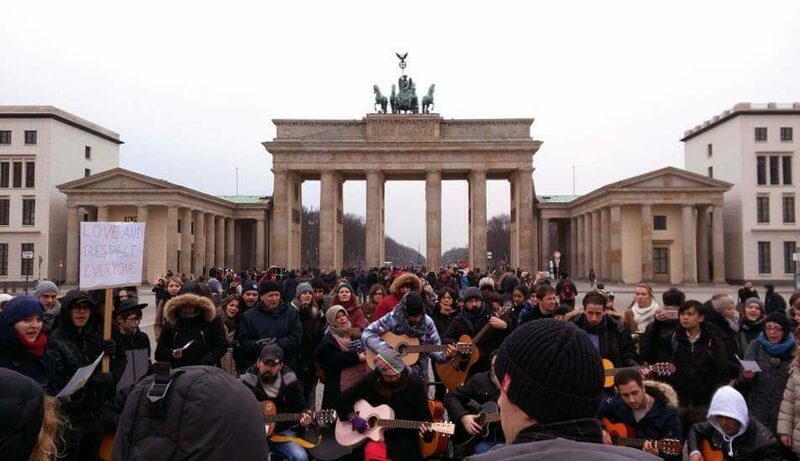 The group sings songs in many languages in an effort to share the cultures of all its participants. They also work on specific skills each week to improve together, and occasionally perform! A free course for beginners wishing to learn how to record, produce and DJ. With a particular focus on Ableton Live software, we’ll go through all the skills you need to get started. An absolute beginners course in the bass guitar. Learn the basics of the instrument, why its so awesome and how to play it right! A comprehensive study into all things electronic music, based predominantly in Ableton Live. You will learn about composition, synthesis, programming beats, music theory, sampling and various production techniques — all the skills you’ll need to make your own music. 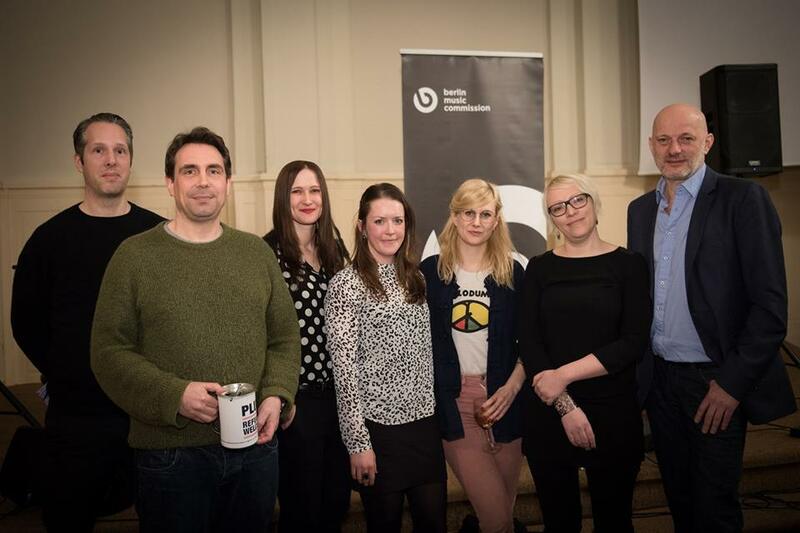 Curated and run by Music Unite. All classes are taught by talented volunteers and are ALWAYS FREE. In addition to these weekly classes, we also work in collaboration with other initiatives from the music industry and civil society to organize events and concerts. 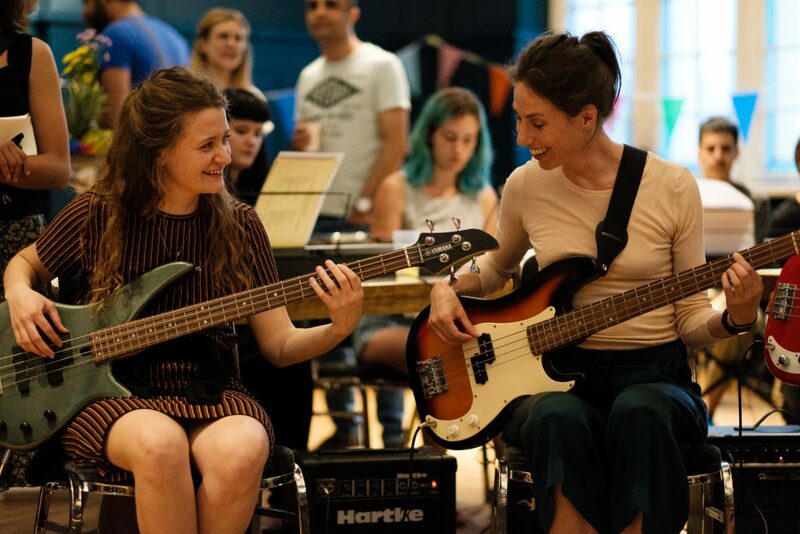 We seek to create opportunities that focus on people forging new connections and sharing information about all things musical in Berlin. There are a lot of talented, yet isolated musicians living in this city, and we want to empower them to become active participants in this city’s music scene. 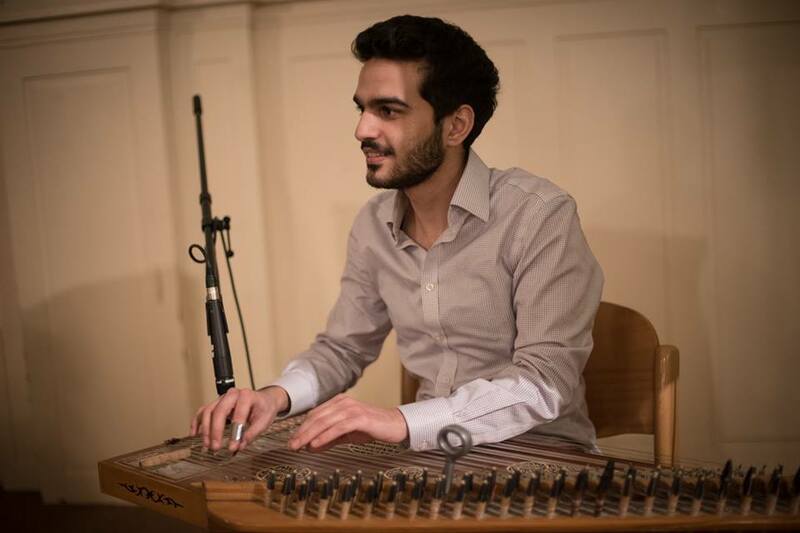 A regular meet-up called The Tent was founded in collaboration with Syrian musician, Nabil Arbaain, and CreAid. 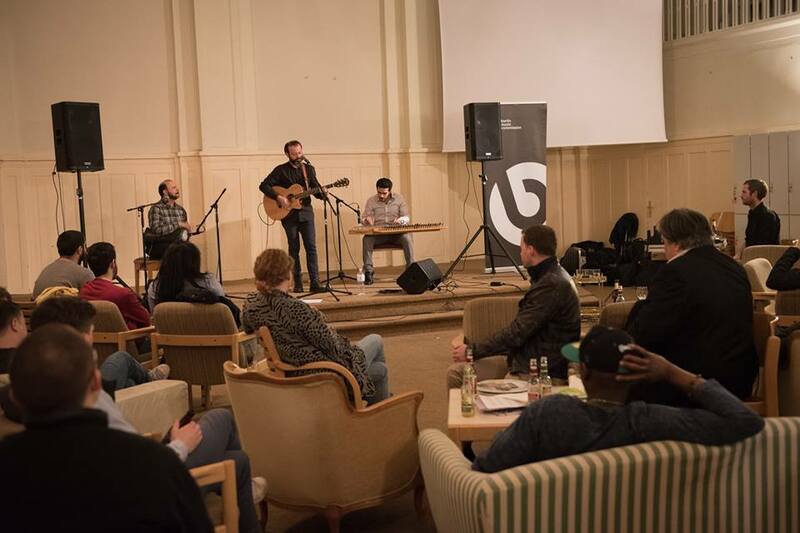 This happens at different locations across the city (such as the Klingendes Museum in Wedding and Noize Fabrik in Alt-Treptow) to support newcomer musicians in accessing Berlin’s multi-layered cultural scene. We are a community of newcomer musicians. 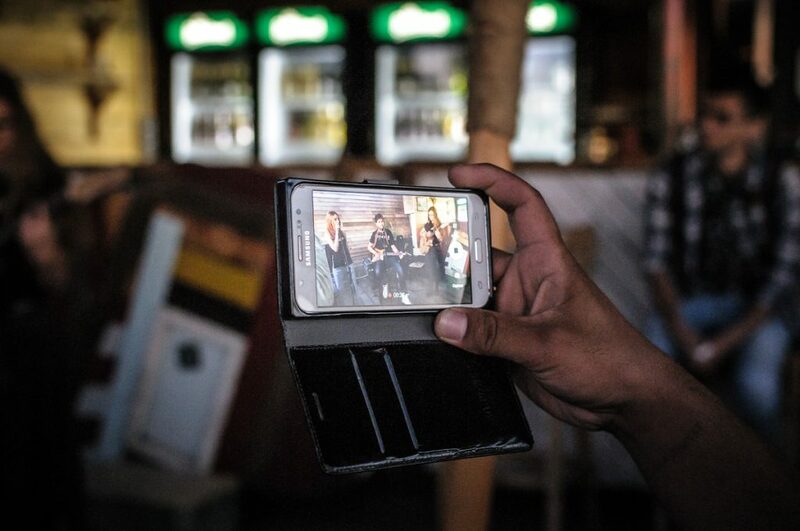 In the last four years we have collaborated and supported the bands Lomnava – Refugees & Friends, Wulaba – Refugees Voice as well as recent groups such as GRV – Global Refugee Voice and 143 Band. We continue to connect musicians from all over the world to each other and make it our priority to connect them to mainstream industry opportunities such as concerts and gigs as well as professional development. 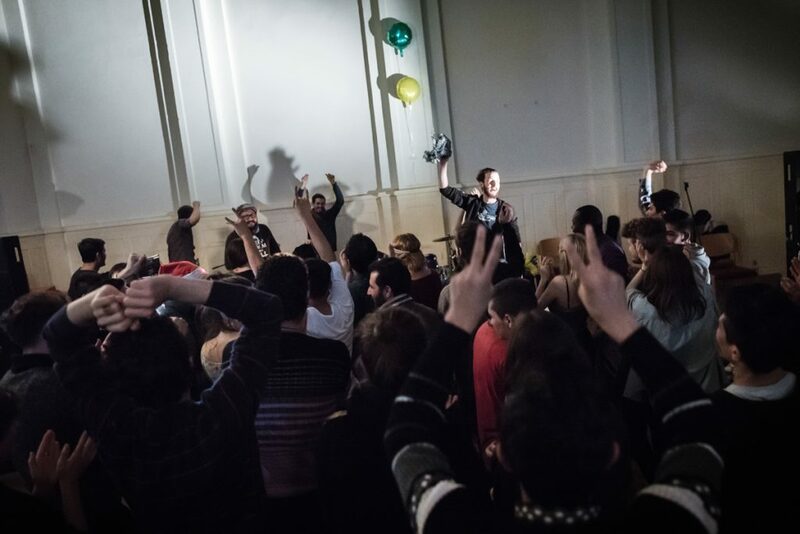 Last year many newcomer musicians from our network played at the Eastside Music Days Festival, Popraci Festival Rixdorf, Sommer für Alle Festival Neukölln, as well as countless smaller gigs across the city and at our GSBTB events. 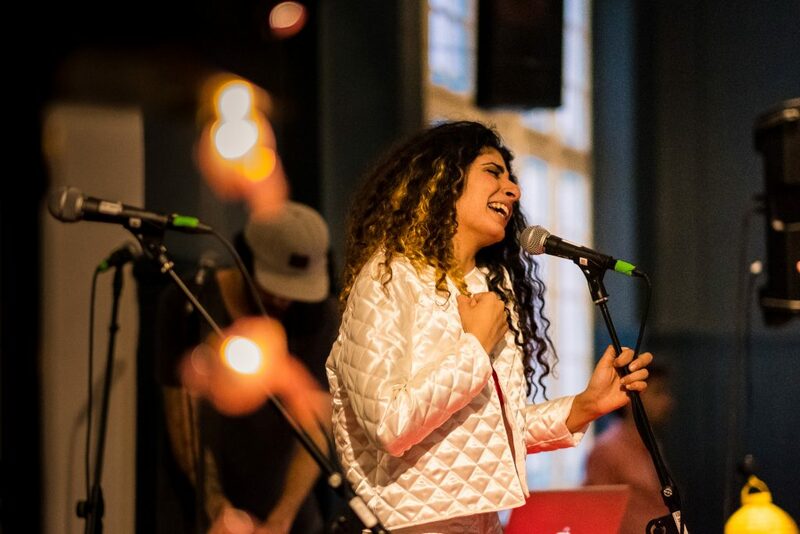 We are creating a database of recording studios, music venues, professional music schools, private tutors, youth centres and other people and organisations that we can collaborate with to empower Berlin’s musical newcomer community. We want to be ready and able to advocate for individuals with anything music-related as quickly and effectively as possible. 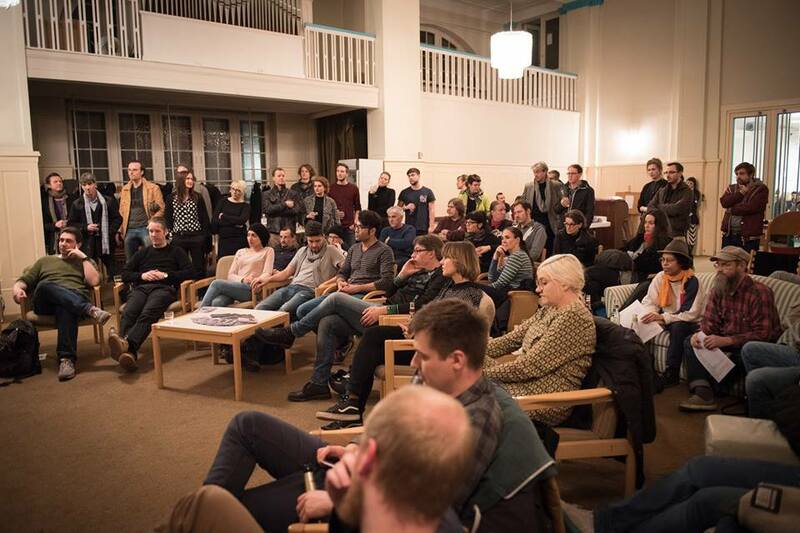 Through our work and by connecting and partnering with industry organisations such as the Berlin Music Commission, CreAid and venues such as Klunkerkranich we facilitate the information flow and exchange between newcomer musicians and the Berlin music scene. 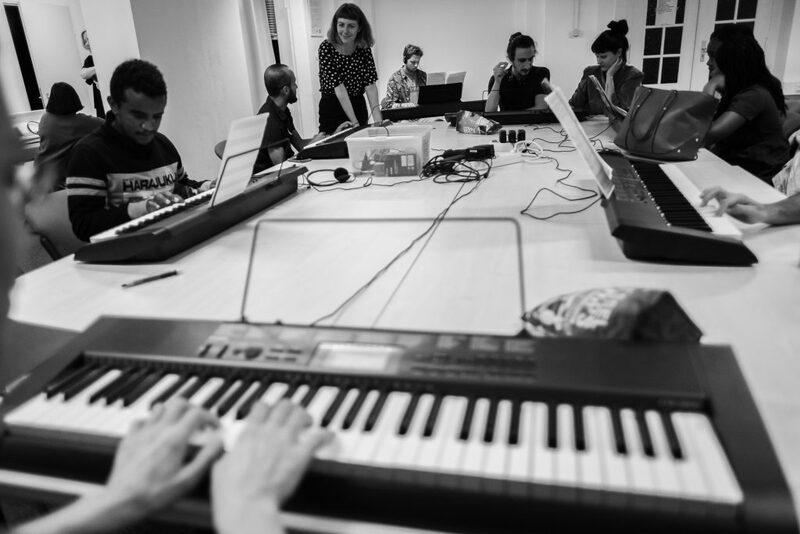 Our ever-growing Open Music School network has helped us to understand that there is a further need for specific one-off and on-going workshops. 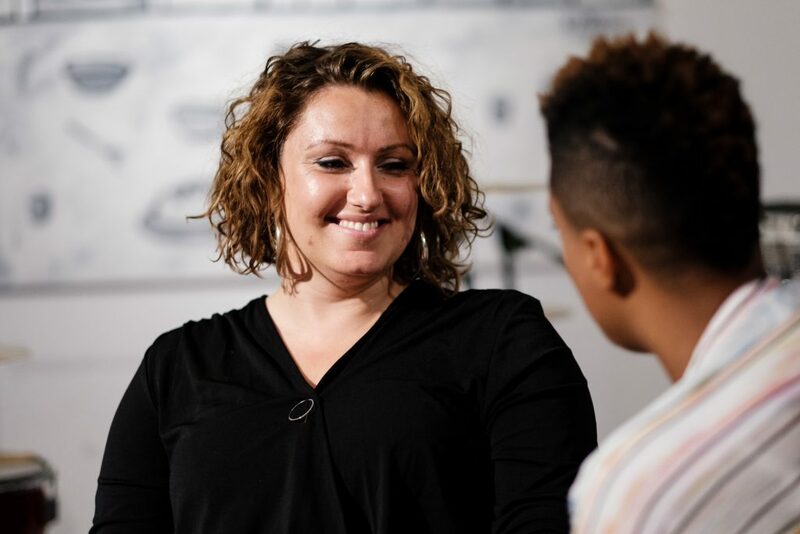 We are collaborating with experts to organise workshops for young female rappers and lyricists to find and empower their voice. 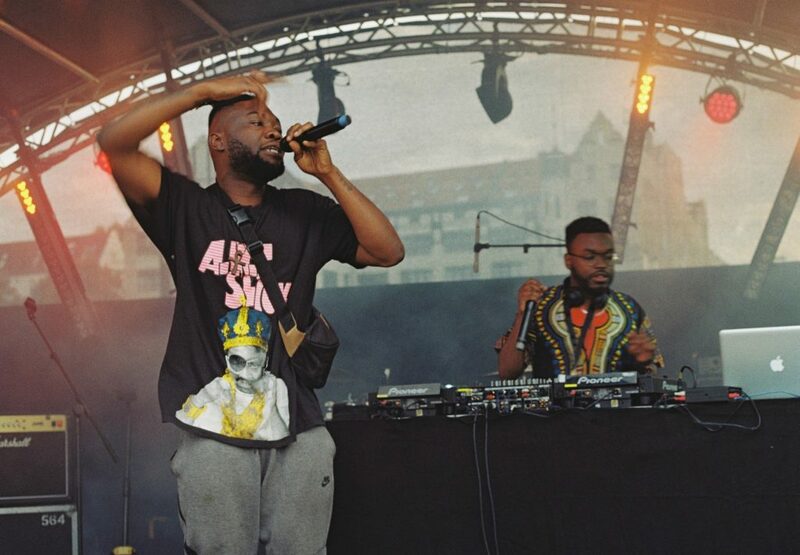 We are currently planning hip-hop and rap workshops where newcomer artists can connect with established Berlin artists for advice and skill-sharing. Other topics such as how to find jobs within the music industry, funding, more music genres and technical specialties will follow as we listen and develop along with our community. How do I become part of this project? We are always looking for friendly, passionate and patient people who have a reasonably good understanding of their instrument to join our pool of teachers. You do NOT have to be an expert or have years of teaching experience. Contact Tom Young. Sign up as a student! EVERYONE is welcome to join our classes. We have people from so many nationalities and cultural backgrounds sharing and learning with us. Its really a beautiful thing. If you are shy, you don’t have to speak. If you are looking for new friends, you might find them here! Our classes are relaxed, social, and a safe place for all. Contact Tom Young. 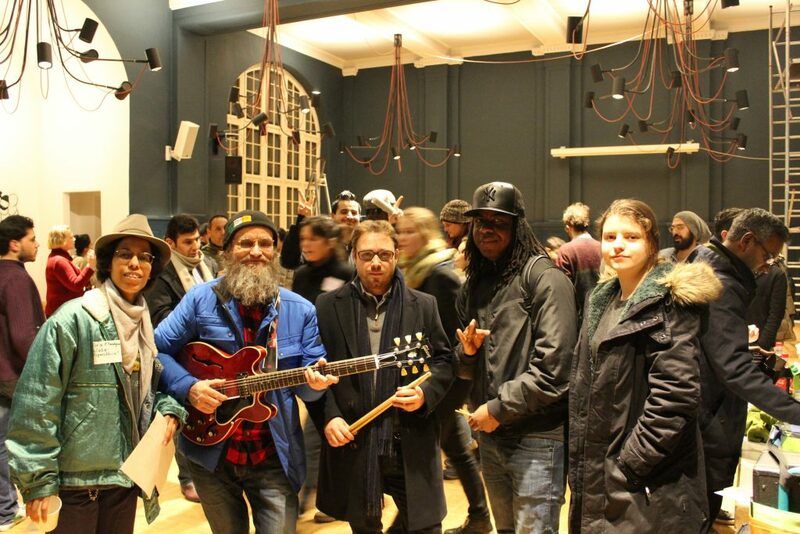 The GSBTB – Open Music School could not have begun without generous donations of instruments from some awesome people. We are constantly growing and changing to meet the needs of our community and instrument donations help us to offer free tuition to more and more people. NOTE: We are currently in need of old Laptop Computers for our Open Music Lab. Any condition considered. A huge thank you to our Partner and Supporter Anschutz Hilft e.V. Thanks to Allianz Kulturstiftung for the support in 2016! Thanks for the support Creaid! 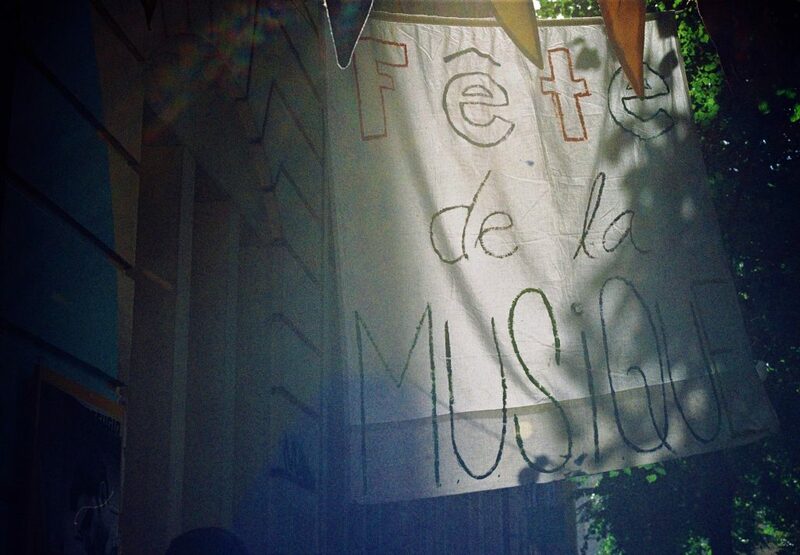 Thanks for the support East Side Music Days! Thanks to the support from Qatar Foundation International!